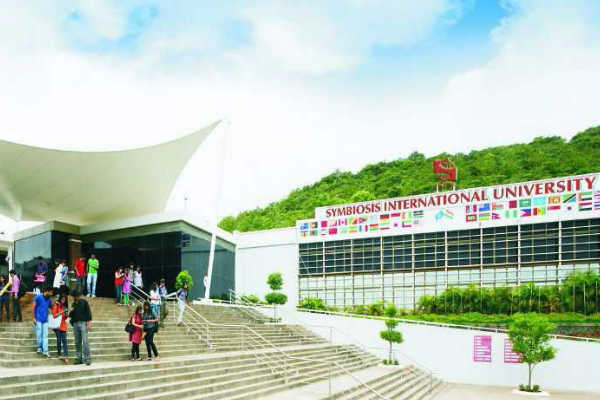 In continuum of its annual initiatives, the Faculty of Health and Biological Sciences (FoHBS), Symbiosis International (Deemed University) will organise SYMHEALTH 2018 at SIU Lavale, Pune. The event will be held on May 3, 4 and 5, 2018. SYMHEALTH, an annual mega event with a legacy of 19 years, has been attracting around 1200 professionals from all verticals of the healthcare such as hospitals, insurance, IT, Medical equipment and devices companies, medico legal firms, NGOs, clinical research organizations, from all over India and abroad. It is an event that marks the significance of integrating ideas and information from across many disciplines. The conference will have sessions chaired by a cohort of stalwart speakers, contemporary topics and will provide opportunities for stakeholders beyond academia and industry, to exchange insights, present emerging opportunities, make networking connections and to share resources. The theme this year is ‘Interdisciplinary Approach to Healthcare’ which underscores the importance of applying integrative strategies to the theory and practice of health sciences. The conference will highlight some such contemporary issues in healthcare that cannot be discussed insularly and beg the context of a wider discourse. A day prior to the conference a unique event ‘Connexions’ is organised. ‘Connexions’ presents an opportunity for delegates to learn about various skill sets and competencies which need to be acquired by healthcare professionals. A placement assistance drive will be conducted which will facilitate interested enrolled candidates to interact and get interviewed with prospective recruiters. Several eminent national speakers including Air Marshal Pawan Kapoor, AVSM, VSM Director General Medical Services (Air), Retd, Dr Rajendra Patankar COO, Nanavati Hospital, Mumbai; Dr HP Singh, Chief of Medical Administration, Indian Spinal Injuries Centre, Delhi; Arnab Chaudhury, MD Life Sciences & Healthcare, Deloitte Consulting; Shishir Gupta, National Manager- Strategy & Innovation, Roche Diagnostics; Dr Sanjay Dalsania, GM Quality, Apollo Hospitals, Navi Mumbai; Dilip Jose, MD and CEO Manipal Health; Dr Geeta Bharadwaj, GM-Operations, MD India Healthcare Services; Dr Naveen Tirkey, Trial Lead, Global Business Services, Novartis; Dr Rohini Kelkar, Head Microbiology Dept, Tata Memorial Hospital, Mumbai; Tirupathi Karthik, CEO, Napier Healthcare Solutions; Dr Gaurav Thukral, Executive VP, Health Care at Home India; Dr Shyam Vasudevrao, Founder & Chairman, Renalyx Health Systems; Anurav Rane- Founder & CEO- Planmymedtrip; Raj Gore, Vice President – Operations, Fortis Healthcare; Dr Gopinath Shenoy, Medico Legal Expert. The valedictory ceremony will be held on May 5, 2018 in the august presence of Dr Poonam Khetrapal, WHO Regional Director for South-East Asia and Dr Dileep Mhaisekar, Vice-Chancellor, Maharshtra University of Health Sciences (MUHS). Adv. Ram Jethmalani, MP Rajya Sabha will also grace the occasion as Guest of Honour.